NARÓD Sobie! [Nr] 51. SZYGETHI Józef – Stary piechur i syn jego huzar. Krotochwila w 3 odsłonach ze śpiewami i muzyką Ig. Bognara. 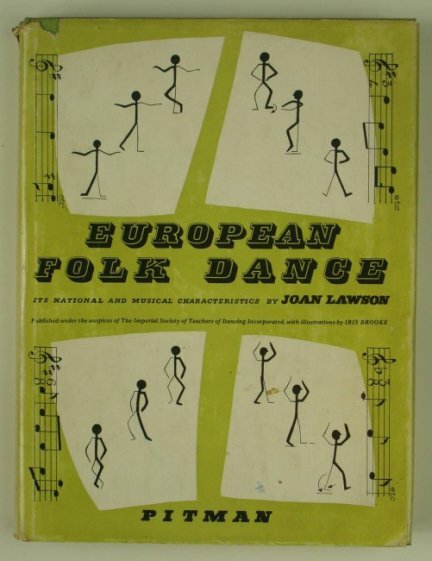 LAWSON Joan - European Folk Dance. Its National and Musicals Characteristics. Published under the auspices of The Imperial Society of Teachers of Dancing Incirporated. With Illustrations by Iris Brooke. London 1955. Sir Isaac Pitman & Sons. Format: 24,5x18,3 cm, stron XI, , 244, tablice. Oprawa oryginalna płótno, obwoluta. Niewielkie naddarcia i zabrudzenia obwoluty, stan dobry.